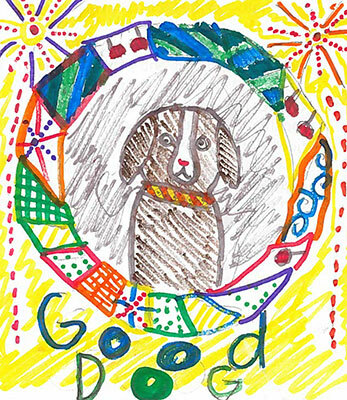 Honolulu Museum of Art » Good Dog! 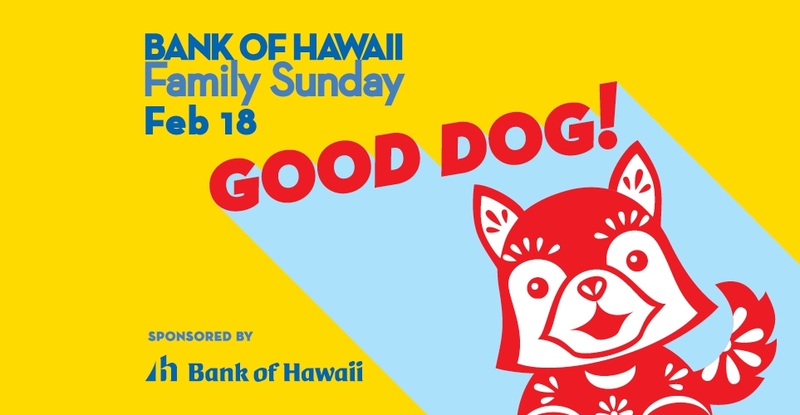 Home / Events / Family Sunday presented by Bank of Hawaii Foundation / Good Dog! Celebrate the Year of the Dog! Entertainment and art activities end at 2pm. Reminder: Pets are not allowed inside the Honolulu Museum of Art and Spalding House, even during this dog-themed event. Join members from Associated Chinese University Women (ACUW) as they share about Chinese culture through art and activities. • Fancy footwork: Phoenix Dance Chamber performs Chinese folk, classical, and modern dances. • Lion dance: Gee Yung International brings good fortune with a Chinese lion dance through the museum’s courtyards. • Pet communication, 11am-2pm: Bring a photo of your dog to the Public Pet pop-up in the Museum Shop for a reading by pet communicator Eileen Abe. Readings are by appointment—visit the shop to sign up. Limited number of spots available. • Get framed, 10:30am-1pm: Druscilla Santiago of Adventure Fun Club will be in the Museum Shop drawing portraits. Step and and get an original sketch done. The King of Masks 变脸: 10:30am + 1pm. Free. The story of an aging street performer, Wang, who practices the opera art of ban lian. Lamenting the lack of a male heir to carry on the art, Wang adopts an orphan boy to be his grandson and apprentice. When he discovers that the orphan is actually a girl, the two face cultural and societal obstacles to acceptance. Part of 吴天明 Wu Tianming Tribute. The winner receives a Supporting Membership to the Honolulu Museum of Art ($100 value), and his or her artwork is used to create the following month’s event brochure and is posted on the museum's website. Congratulations to last month's winner, Hudson Smith, age 9, Kailua!